About 50% of women experience “baby blues,” or a brief period of mild depression for a few days to a few weeks after giving birth. But 10-20% will suffer more severe postpartum depression. Every pregnant woman has very high levels of hormones (estrogen, progesterone, prolactin, and oxytocin) when pregnant, and these hormones plummet precipitously after giving birth (though prolactin remains elevated for those moms who breastfeed). Yet not every woman will experience even mild, let alone severe depression. So what makes the difference? What determines who gets it and who doesn’t? But let’s back up a bit, and look at what homocysteine is and how it is related to the process of building a tiny human. Homocysteine is essentially the amino acid waste product of a methylation pathway gone awry. Methylation is one of the liver’s six main Phase 2 Detoxification reactions, involving the addition of a methyl group (a carbon with three hydrogen atoms attached) to a chemical for elimination (among them hormones and neurotransmitters, by the way). The methyl donor is the amino acid methionine, and once it’s donated its methyl group, it becomes homocysteine. The cycle then adds another methyl group back to homocysteine via (primarily) methylated folic acid, and it can repeat the process. Methylation is also a necessary step in the formation of neurotransmitters, including dopamine, norepinephrine, epinephrine, and serotonin. This means poor methylation can lead to lower amounts of these neurotransmitters. Low catecholamines (the first three) are associated with one kind of depression; low serotonin is associated with another. So if there is a correlation between high homocysteine and postpartum depression, it seems there are two possible causes: low intake of folic acid, or poor conversion of folic acid to its usable form. We all know folic acid is important in pregnancy to reduce neural tube defects. But it’s responsible for more than just this: folic acid is necessary for the overall growth and development of the fetus as well. As a general rule, if there aren’t enough nutrients to go around, baby gets first dibs. Perhaps this is why homocysteine tends to increase in the third trimester and postpartum— and elevated homocysteine levels are also considered predictive of pregnancy complications for mom, such as preeclampsia and gestational diabetes. 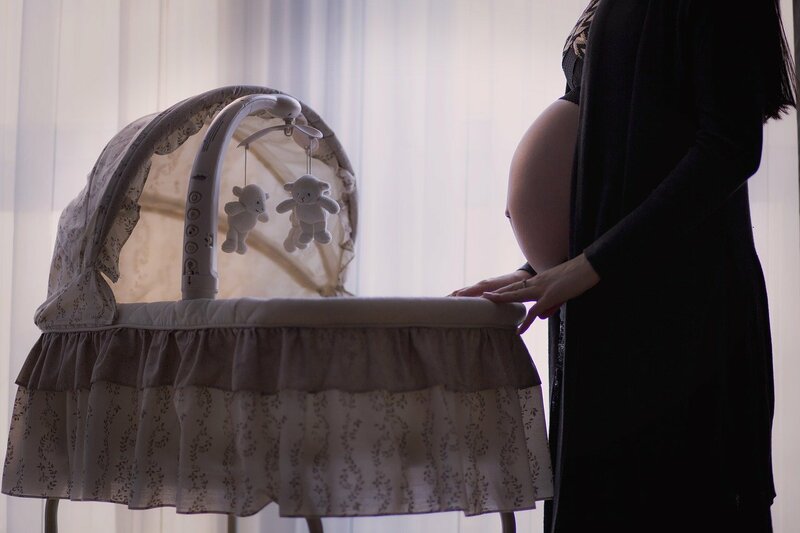 Not too surprisingly, according to this study, women who get pregnant again shortly after giving birth are at greater risk of folate deficiency, since they’ve had less time to get back to repletion status between births. Likewise, moms of twins are at greater risk for postpartum depression: if folic acid is to blame, this makes sense, as they’ve had twice the folic acid demand at one time, and are likely to be that much lower. What Role Does MTHFR Play? In order for folic acid to do its job, though, it has to get its own methyl group added via the now-famous enzyme called MTHFR. Estimates for the prevalence of at least one of the MTHFR gene variants range from 30-50% of the population, and a homozygous (two bad copies) of an MTHFR mutation can decrease efficiency of folate activation by up to 70%. This study shows that women with particularly a homozygous MTHFR C667T variant are at greater risk for lower folate and higher homocysteine in pregnancy, and also at higher risk for postpartum depression. Relevant tests for postpartum depression (or perhaps to prevent it!) will certainly include homocysteine. They should also include folic acid and other B vitamins involved in the methylation cycle (B12 and B6), and perhaps MTHFR. It might also be interesting to run a neurotransmitter urine test if you are symptomatic, to see which neurotransmitters are low.